China will strategically prioritize peace over war while firmly pursuing the protection of its territorial integrity. Tung Chee-hwa, vice-chairman of Chinese People’s Political Consultative Conference implied this recently contrary to past releases when they were still furious after the ruling at the Hague that favored the Philippines over the South China Sea disputes. ” They have doubts however that the US is trying to contain China. Tung repeated the historical evidence to support their sovereignty over the South China Sea, and narrated the discovery of Nansha Islands where archaeological evidence of their utilizing the area thousands of years ago were found. They also said that history way back World War II can show their rightful claim in the disputed territories but this has been rejected by the international court on grounds that Chinese artifacts found over the Nansha Islands were not evidences of China’s sovereignty but proofs of navigational freedom that started centuries ago. 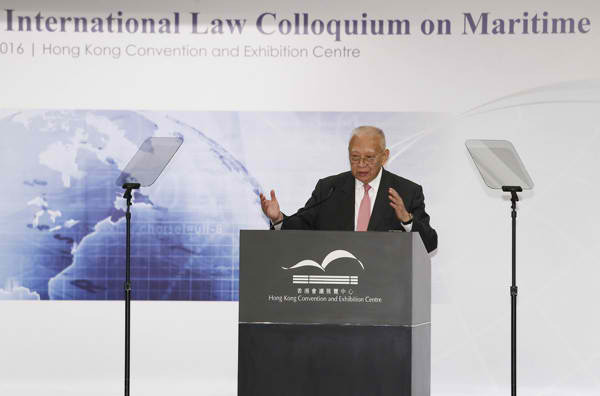 Tung also mentioned that, China ratified the Convention in 1996, when it made a declaration reaffirming its sovereignty over all its archipelagos and islands, including those in the South China Sea. In 2006 also, China made another declaration, under Article 298 of the Convention, that any maritime boundary delimitation issues are excluded from the jurisdiction of any dispute resolution mechanism under the Convention – but these explanations did not hold weight in the Hague litigation.